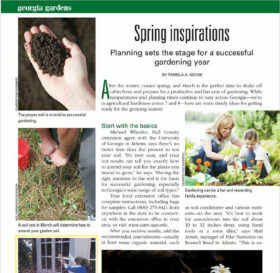 Creating compost in the cold poses many challenges for gardeners. 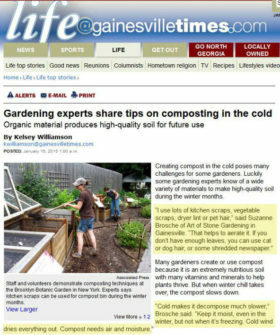 Gardening tips for creating compost in cold weather for Gainesville Times newspaper Home and Living section and Art of Stone Gardening. New front steps were installed with stone to replace our old “unsafe” steps. The old steps were removed and disposed of. The new block structure, Centurion and Oklahoma natural brown flagstone looks amazing. The whole process went smooth with no problems and the crew was very courteous and professional. The owner oversaw the whole project. Very pleased and would highly recommend without any hesitations! The work was estimated at a fair price and with choices for materials. Before anything different was done, it was discussed with us and a joint decision was made. The materials used were of high quality. The craftsmanship and design are both practical and beautiful. The company gives a fair estimate and sticks with it. The work is explained with changes made according to customer input. The work is completed carefully, but in a timely manner. The end result added so much to the enjoyment of the yard, plus provided a safer environment for us and our buildings. Care was taken with existing landscaping. Clean up was thorough. 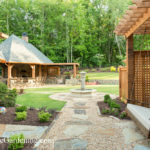 Art of Stone Gardening staff created a spectacular outdoor living area with patio, fireplace and pizza oven for us. It has transformed the way we use our outdoor space. 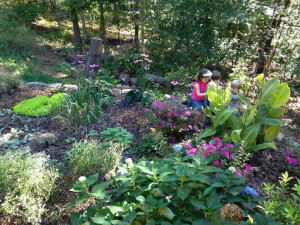 Later, they helped us to add an herb garden, plants and planting areas. We now enjoy many nights outdoors by the fire with friends & family. They were experts at overcoming many challenges at our site, including close proximity to National Forest land, elevation changes and erosion. They are very professional & easy to work with, consulting with us at each step of the process. They worked through heat and thunderstorms to finish our project ahead of schedule. 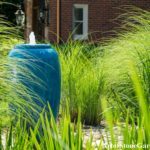 We highly recommend these folks for all of your outdoor stone & landscaping projects – they highly exceeded our expectations! They did a complete overhaul of our front and backyard and did a fabulous job. Very detail oriented and dedicated to their work. 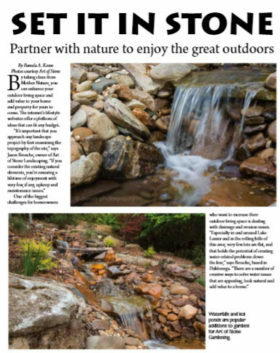 They installed plants, mulch, trees, sod, a water feature and a lot of stone work throughout. They also fixed our fence. We couldn’t be more pleased. 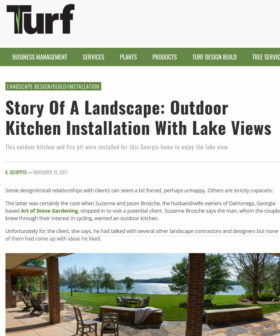 They helped us translate our ideas and questions into solid landscape design. They also did pruning and gave us lots of overall education. They were dedicated to our job even though it was a long job and took a lot of their time (our yards were a mess!) – they didn’t leave until the job was done and were here almost every day. Both the owners and their staff are very hardworking. I highly recommend them. I was contacted by Angie’s list to review this business. I used Art of Stone several times in the past. Jason installed gutters and underground drainage pipes to run water away from my mountain house that is built on the side of a steep hill. He also planned and designed a concrete patio for the back of my house. Jason also designed a driveway and parking area for this steep hill and installed 12 inch drain pipe and grading for drainage with raised curbing to direct water to the drain. Has been very successful. Very satisfied with work. I do not remember the exact dates of work but I posted. Work done as proposed, no surprises. Work explained to me ahead of time in detail. As of Jan. 2013 all work still looks good. After I had hired Jason the 1st time I found out He had done the stone work on the fireplace in the house I had purchased. 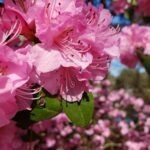 I have worked with Suzanne in several situations and found her to be a creative thinker. Her ability to ‘think out of the box’ has made her a valuable asset in our endeavors. 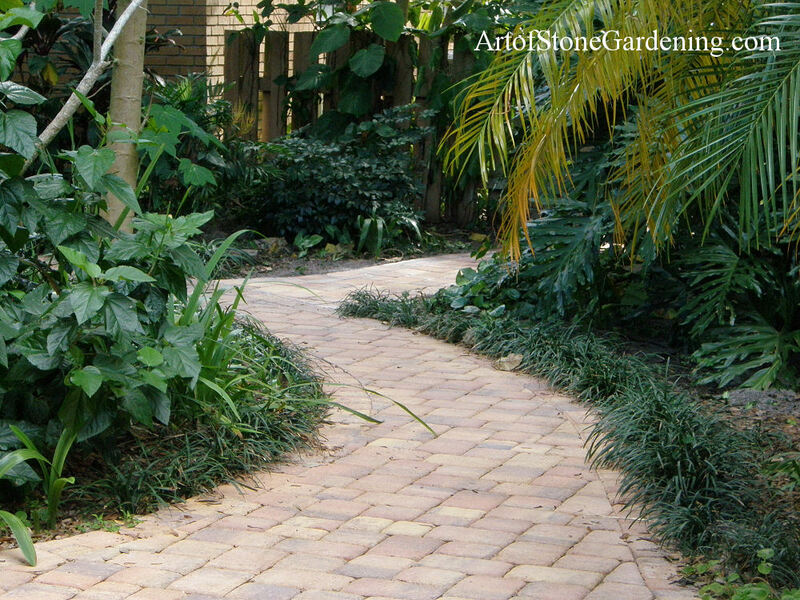 I would not hesitate to refer her services in landscape design. 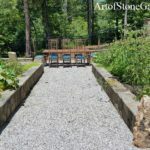 Suzanne and Jason of Art of Stone Gardening are not only experts in their field, but they are also really wonderful people to work with. If you need stonework (fireplaces, walls, steps, patios or walks) or gardening maintenance or coaching, make sure you give them a call! Mike is a dedicated and very hard working gardener that really enjoys getting his hands dirty. He came to me 2 years ago because he wanted to install a perennial garden but had no idea where to start, nor what plants to use. After a few meetings where we nailed down what exactly he was looking for, Jason installed a wall and soil for his garden, I created a design for him that was drawn to scale. In this way, Mike had a “blueprint” that he could follow. It showed him exactly how many plants would fit in the garden, gave him a list of suggested plants and started him off on his garden. 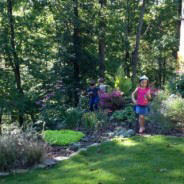 Mike sent me these pictures that show his grandchildren playing.